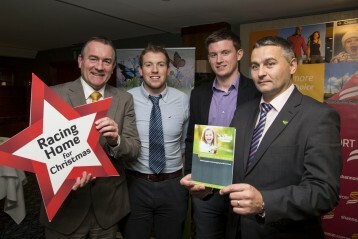 Limerick Racecourse has announced that Cliona’s Foundation, a registered Irish charity providing financial support for non-medical expenses for families with a critically ill child, will be its’ nominated charity at Limerick Racecourse Family Fun Race Day event which will be held on December 29th. 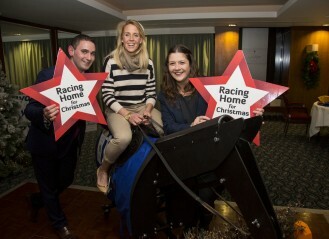 A fitting finale to the Limerick Christmas Racing Festival is the Festive Family Fun Day with free entertainment in the Greenmount Grotto to include a host of amazing children’s entertainment such as a disco with DJ Captain Jack with dancing and games, face painting, jewelry making, nail art, kids tattoos and prizes to be won. Special guests on the day will include Anna and Elsa from Frozen and The Hulk and Mickey Mouse. By nominating Cliona’s Foundation as its charity for the event, Limerick Racecourse hope to raise awareness and thus funds for the charity which was founded in 2007 by Limerick couple Brendan and Terry Ring, in honour of their daughter Cliona, who died of an inoperable brain tumour, Cliona’s Foundation is patroned by Miriam O’Callaghan and its ambassadors include Limerick born TV presenter Leanne Moore and renowned jockey Davy Russell. Davy has undoubtedly been the most progressive jump jockey in the Irish weighing room and has firmly established himself as one of the top riders in the country and he proud to be an ambassador. 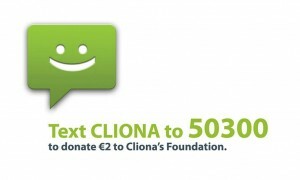 Cliona’s Foundation has already raised in excess of €600,000, helping more than 200 Irish families that have a child with a serious illness and also under extreme financial pressure too with non-medical expenses when other support avenues have been exhausted. These might be petrol, parking, meals, laundry, child care, alternative therapies and even sadly, covering the cost of a child’s funeral. An estimated 1,400 children are critically ill in Ireland today. According to Brendan, “non-medical expenses are wide-ranging, significant and insidious, particularly for parents living outside Dublin and having to visit their sick child in a Dublin hospital and can run to more than €100 per day.” Brendan is hoping that families attending this Race day event will join forces with them to support this very worthy cause. For further info please contact Allison McNamara at [email protected] or call 061-400640.